A new and detailed analysis from the International Energy Agency finds that the most cost-effective strategy for providing universal access to electricity and clean-cooking facilities in developing countries is compatible with meeting global climate goals, and prevents millions of premature deaths each year. It would also benefit women the most, as it would free up billions of hours currently lost to gathering fuelwood. The findings are a positive sign that universal energy access is within reach for billions lacking basic energy services. 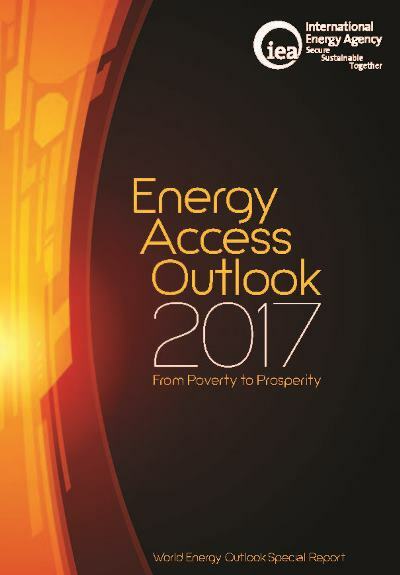 The new report, Energy Access Outlook: from Poverty to Prosperity, part of the World Energy Outlook-2017 series, provides a first-of-its-kind historical analysis for 140 countries and shows that the number of people without access to electricity fell to 1.1 billion in 2016, down from 1.6 billion in 2000. Developing countries in Asia are making significant progress. Many countries in the region are well on track to reach universal energy access by 2030, while India is on course to reach that goal by the early 2020s. Despite this progress, 674 million are set to remain without electricity access in 2030, 90% of which live in sub-Saharan Africa.